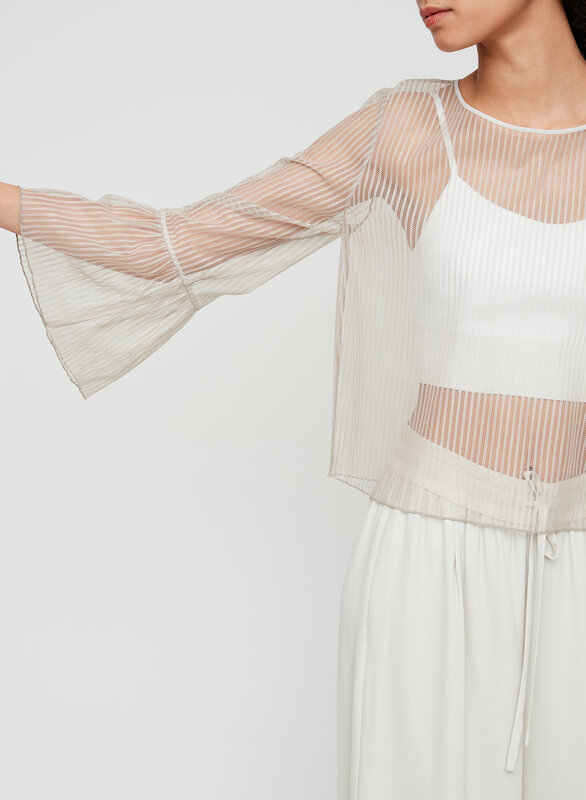 Styled with luiz pant and kenneth knit top . 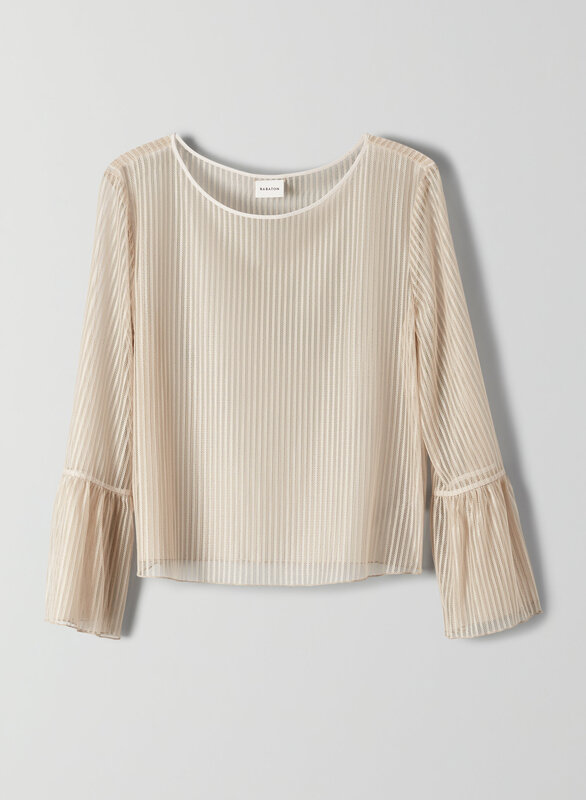 This is a shell blouse finished with perfect flounce sleeves — not too billowy, not too flat. 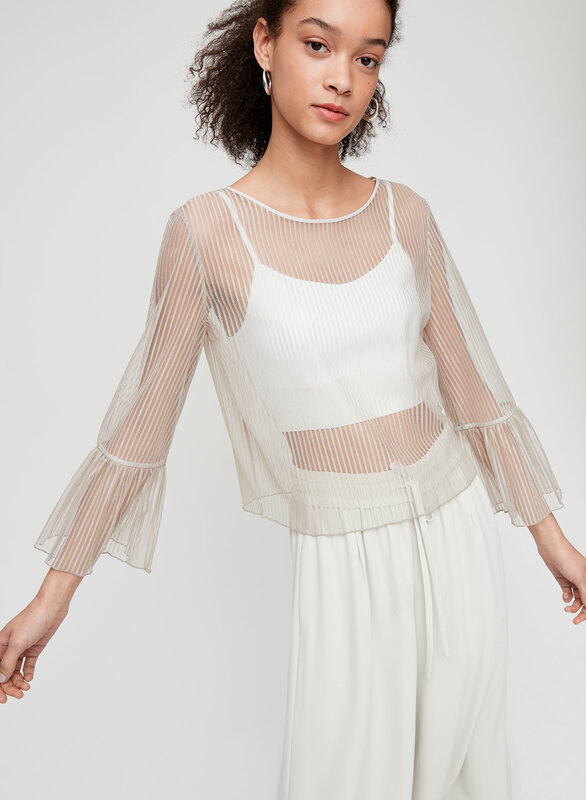 It's cut from soft, mesh fabric.